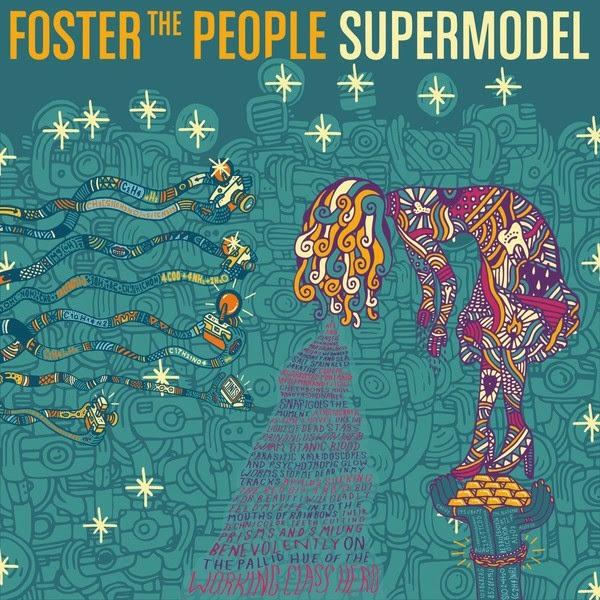 Discussions Magazine Music Blog: FOSTER THE PEOPLE/Supermodel: The new album available March 18, 2014! FOSTER THE PEOPLE/Supermodel: The new album available March 18, 2014! (Columbia Records; New York, NY; January 13, 2014) - Foster The People are set to release their highly anticipated new album, Supermodel, on March 18 via Columbia Records. Produced by Paul Epworth, the globally influenced Supermodel is the follow-up to the group’s critically acclaimed 2011 debut Torches. From Morocco the album continued to migrate with Foster and the band. Work continued at Woodshed Studios in Malibu, Henson Studios and Bronson Island in Los Angeles and was finished at Epworth’s Wolf Tone Studios in London. Supermodel will be available for pre-order beginning Tuesday, January 14 and will include an instant download of the album’s first single “Coming Of Age” at fosterthepeople.com and select digital retailers (see full track listing below). Fans can also listen to “Coming Of Age” now on the band’s website, where the song is set to a visual documenting the creation of a mural inspired by the new album. The mural lives on a building in downtown Los Angeles and, at seven stories tall, is one of the largest painted murals in the United States. Have you seen the music video they released for "Coming of Age" where they paint the massive mural in LA? http://smarturl.it/FosterMuralCOA so cool! !